Sometimes one learns the hard way. In the past I reviewed my printer history and concluded with my happiness about my new HP LaserJet. But that has changed, simply because I misunderstood a few things. 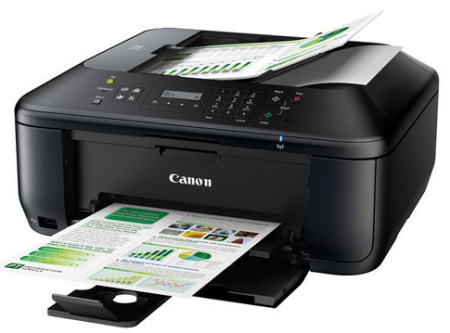 So, now I am back to the inkjet printer days of yonder with another new machine, a Canon PIXMA MX925 All-in-one printer/scanner/fax. A sadder but a wiser man. The main problem with laser printers is simply this: you need to generate ample printing volume to keep things running properly. And I, by far, did not print enough. That makes the toner clutter or stick to the drum, resulting in poorly readable prints and completely distorted colours. Looking back the same must have happened to my previous Kyocera laser printer. Och aye. However, there may be a wee extra problem on the part of HP. They do actively support printing on Linux, but they are at least as actively obstructing the use of other toners or inks than their own expensive ones. They even went as far as making the printer software detect non-HP products and then simply block any printing. Of course they talk of ‘intellectual property’, but they utterly lost a law suit on the issue started by a Dutch supplier of alternative ink & toner, 123inkt.nl. Up to the high court of justice HP has lost and was summoned to allow the use of other inks & toners on their printers. Well, they obviously do not block the use of alternative inks anymore, but reportedly they keep sending users annoying notifications on their computers. And in the case of warranty, they can still be intimidating customers by telling them their warranty is void. Which is NOT, according to Dutch law. So, mainly for the first reason, but also because of HP’s bad attitude, I decided to ban HP from my office. With sadness, because their machines really have worked fine for me. In the past Canon has been rather nasty about supporting Linux systems, but right now that is long ago. 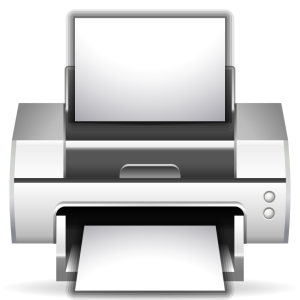 For most of their printers, scanners or fax machines proper Linux drivers are available. Even if they are not, there is a notice saying they will be made available soon. One has to check on their website though, since retailers often do not mention it in their list of specifications. Just a case of old-fashioned Linux allergy, I guess. After some searching I ordered a Canon PIXMA MX925 All-in-one. It is a reasonably fast inkjet printer, with a scanner (ADF & flatbed) making it suitable for simple copying, and even a fax machine. If you do not need the latter, simply ignore it. The box can be connected by a good old USB cable, via a wired LAN, or via WLAN. Since it can be part of your home network, it also offers several web services, the likes of (Google) cloud printing or printing from email. Not for me, I prefer to keep my home network as little open as possible. To install the printer, first download the IJ Printer Driver from Canon’s support page, either as a DEB or RPM package, or as a source package. Also download the ScanGear MP package for using the scanner from your desktop. (Applications like Skanlite cannot find the Canon scanner, although they use the same underlying SANE platform.) The drivers run on top of the CUPS printing system, and, as said, ScanGear uses the SANE platform. First install the driver and scan software, then add the printer in the usual way through System Settings or the likes. NOTES: I had to wait till the next day before my system could spot the newly added printer on the network. I do not understand why. Also, from the drivers list select the ‘v3.90′ driver, because others will not work or with limited features. Well, my new Canon is being a bit lumpy on my desk, but it is doing its job nicely. I am happy again. Wee bonus: it uses the same ink cartridges as my wife’s printer, which makes life easier.